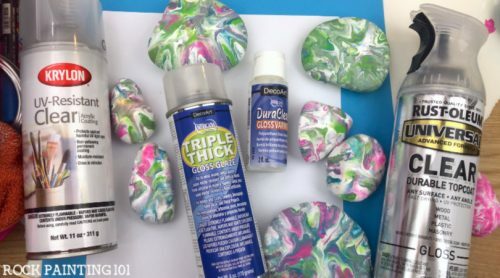 What is the best sealer for painted rocks? 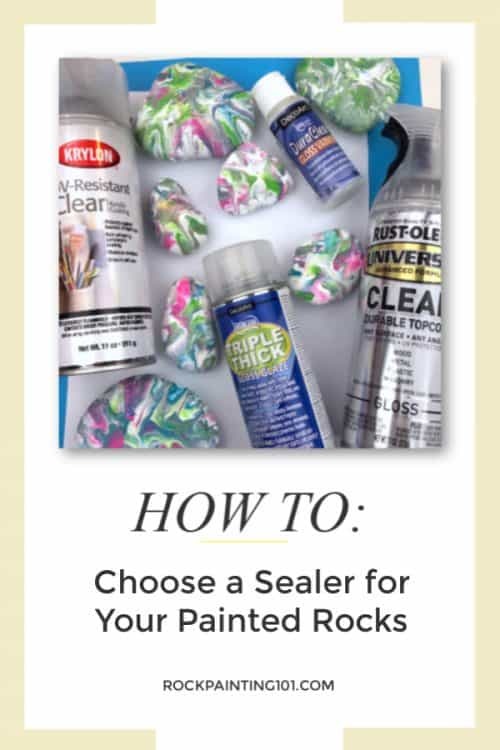 Are you trying to find the best sealer for painted rocks? 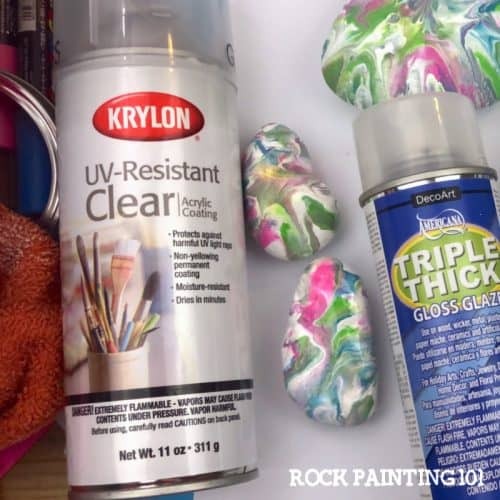 Sealing your painted rocks helps protect them from the elements and gives it a nice finished shine. 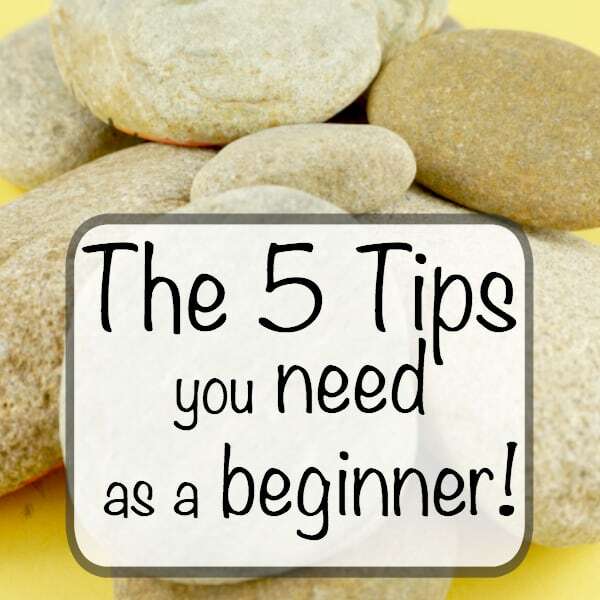 There are a lot of different options out there and it can be overwhelming. We have a few different options for you to check out today. My answer isn’t just a simple, “I use ________”. Because I have used quite a few different sealers over the years. I have a few go-to products that I can’t wait to share with you. 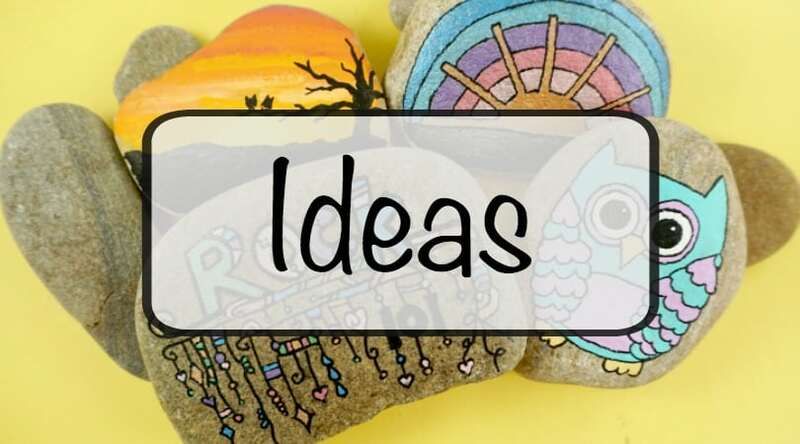 Each person may find their own favorite sealer for painted rocks. 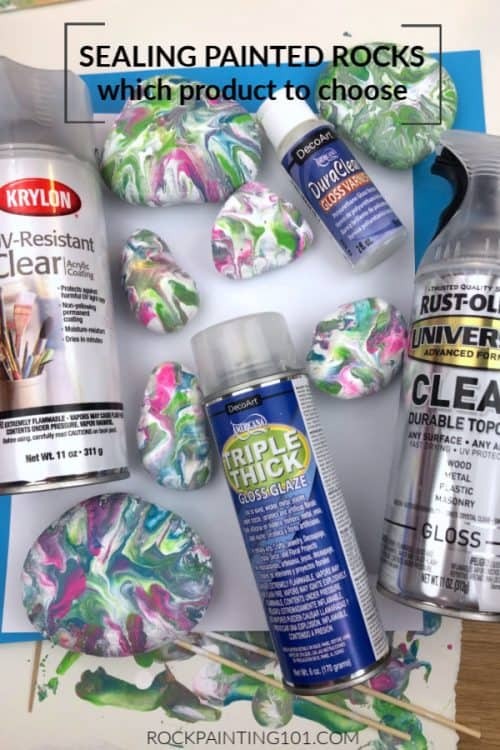 Don’t miss these tips on how to seal your painted rocks! There are so many options to choose from each brand, let alone all the different brands out there. 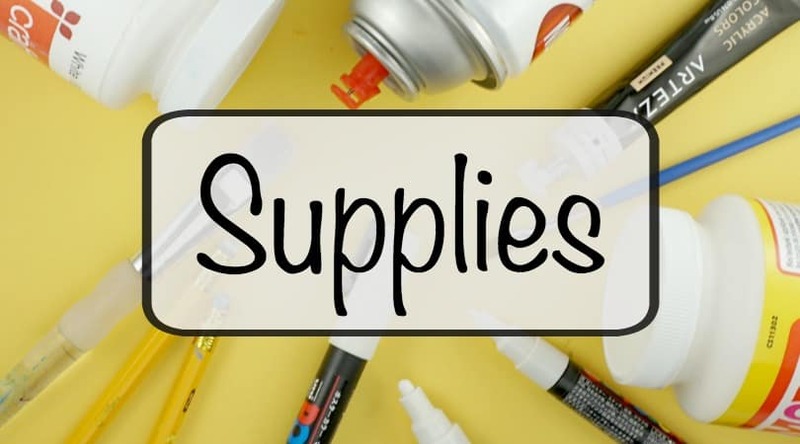 While I would say most of them will do the job there are a few differences that you might want to know before purchasing your next sealant for rocks. Will you be painting indoors or outdoors? 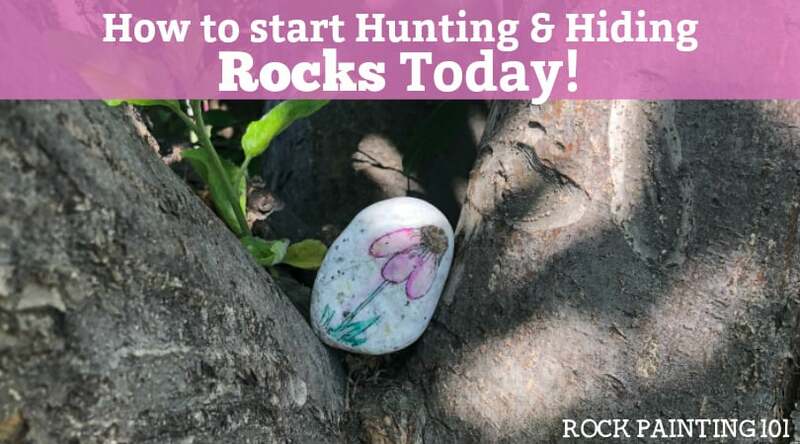 Are you painting rocks for outside? 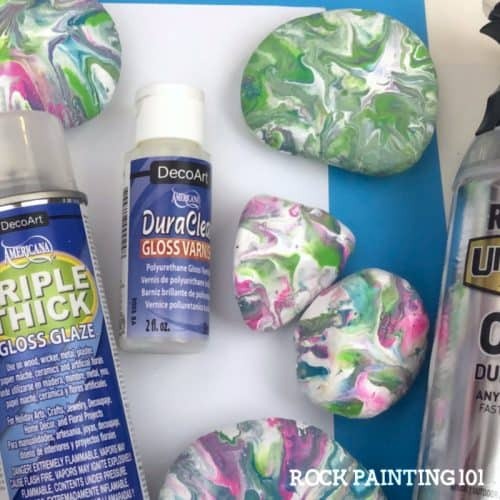 To see the full effect of each rock painting sealer, watch the video below! One sealer I have used more and more lately is DuraClear Gloss Varnish. Because the weather has been too cold for me to go outside and use a spray on sealer, I have been using this brush on sealer more. It is odorless so you can do it right on your craft desk. 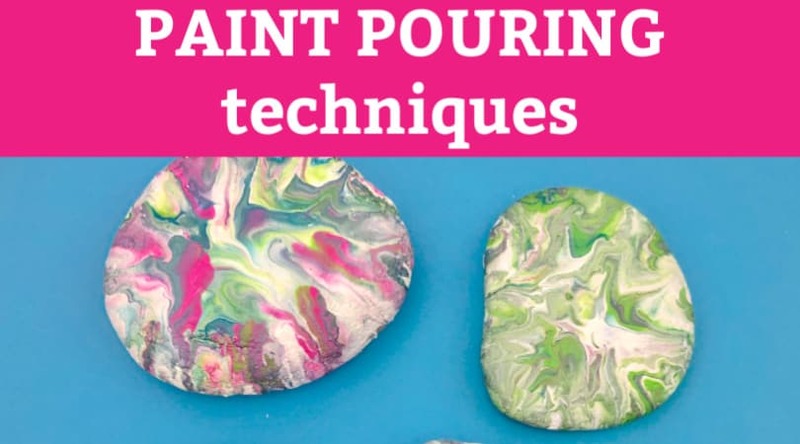 Plus, it gives your painted rock a good shine. It has an affordable price tag on it. It is non-yellowing and moisture resistant. I prefer spray sealers because you can do so many rocks at once in a short period of time. This has a lovely shine when it’s dry. 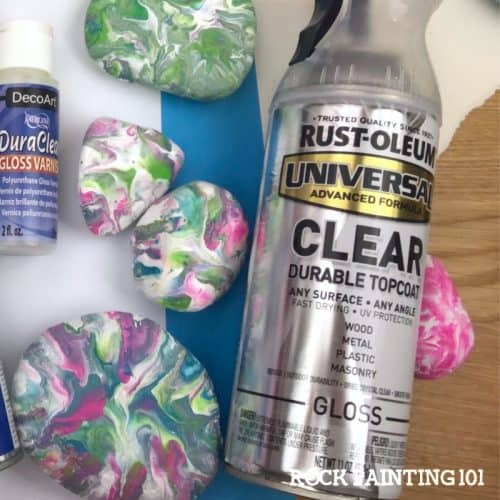 The clear durable topcoat from Rust-Oleum is another good choice for a spray-on rock painting sealant. This sealer from Rust-Oleum dries crystal clear and has UV protection. It has a bit more gloss to it’s finish so if you like the shine effect it is a good one to check out. Note: I couldn’t find this exact sealer on Amazon, so I have linked to another Rust-Oleum sealer in our Amazon shop. 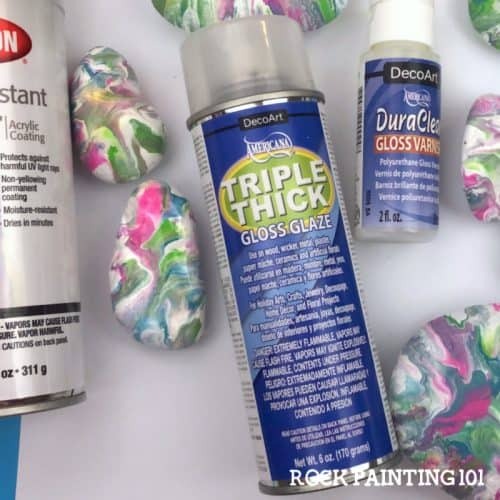 If you’re looking for an amazing shine, check out DecoArt Triple Thick Glaze. You can tell it just goes on thicker. While it does say non-yellowing it doesn’t say that it’s weather resistant. It is a bit pricer than some other sealers, but like most things, you get what you pay for. 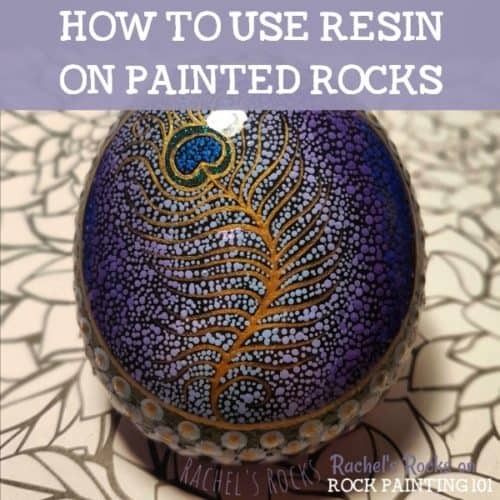 If you’re looking for even more shine, head over to our tutorial on how to use resin on rocks! See the finished rocks in the video below! Pin this Post to look back to later!